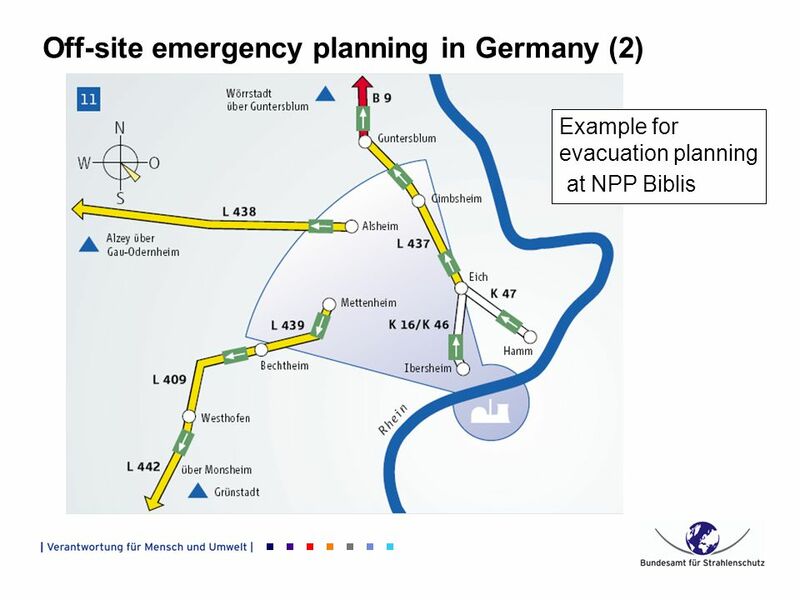 Analysis of the Practicability of External Emergency Planning in Germany based on Experiences from the Fukushima Accident F. Gering, B. Gerich, E. Wirth. 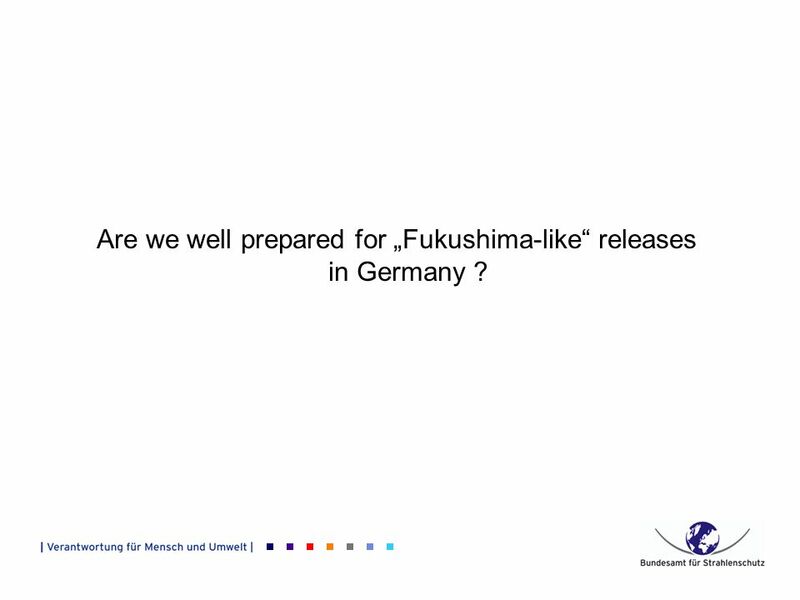 2 Are we well prepared for Fukushima-like releases in Germany ? 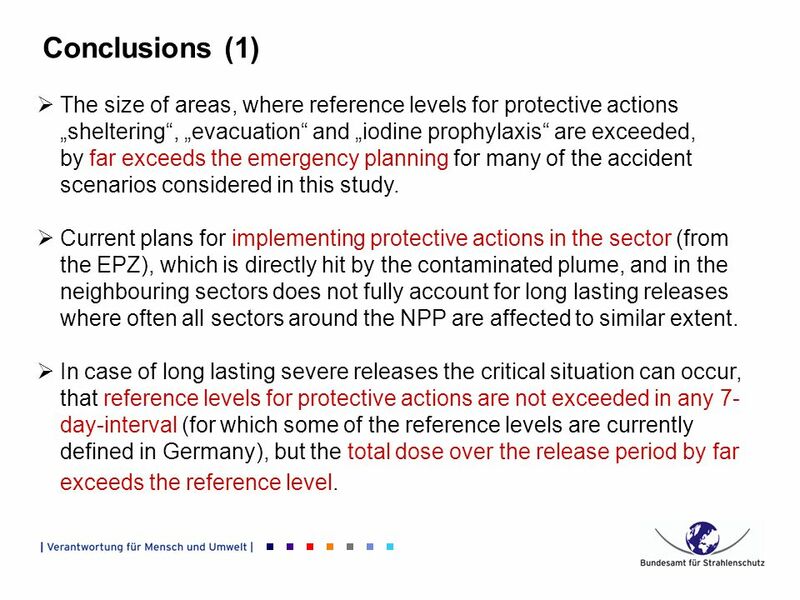 10 Conclusions (1) The size of areas, where reference levels for protective actions sheltering, evacuation and iodine prophylaxis are exceeded, by far exceeds the emergency planning for many of the accident scenarios considered in this study. 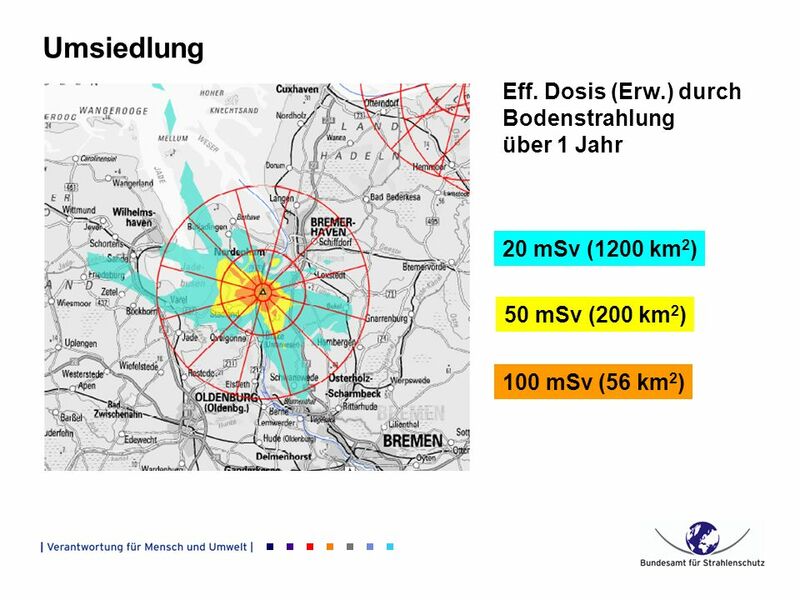 Current plans for implementing protective actions in the sector (from the EPZ), which is directly hit by the contaminated plume, and in the neighbouring sectors does not fully account for long lasting releases where often all sectors around the NPP are affected to similar extent. 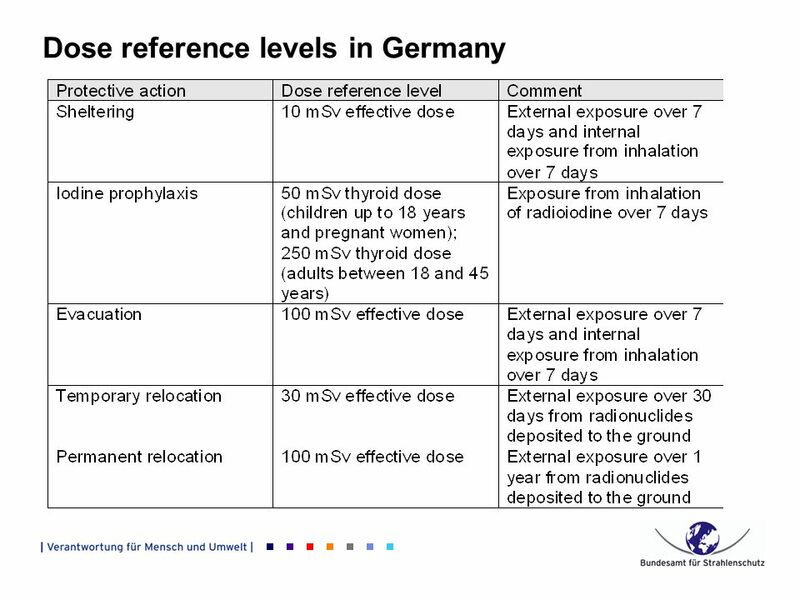 In case of long lasting severe releases the critical situation can occur, that reference levels for protective actions are not exceeded in any 7- day-interval (for which some of the reference levels are currently defined in Germany), but the total dose over the release period by far exceeds the reference level. 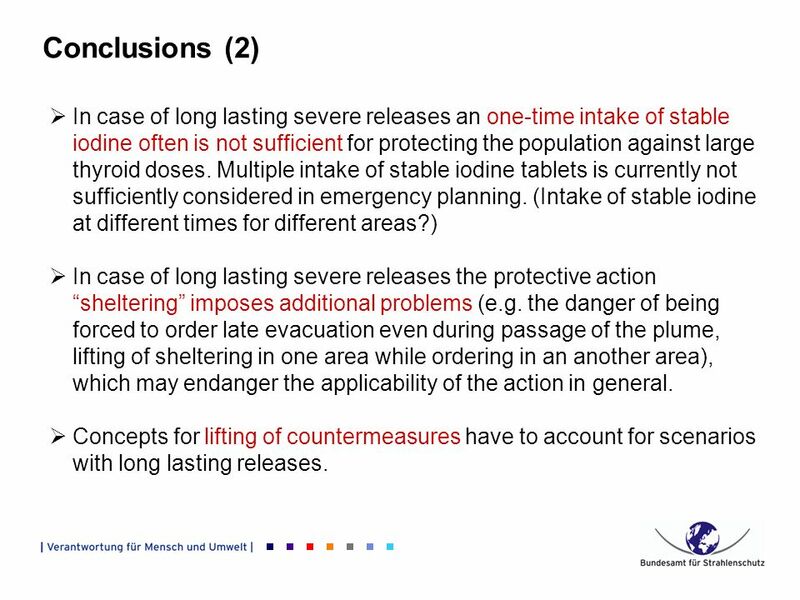 11 Conclusions (2) In case of long lasting severe releases an one-time intake of stable iodine often is not sufficient for protecting the population against large thyroid doses. 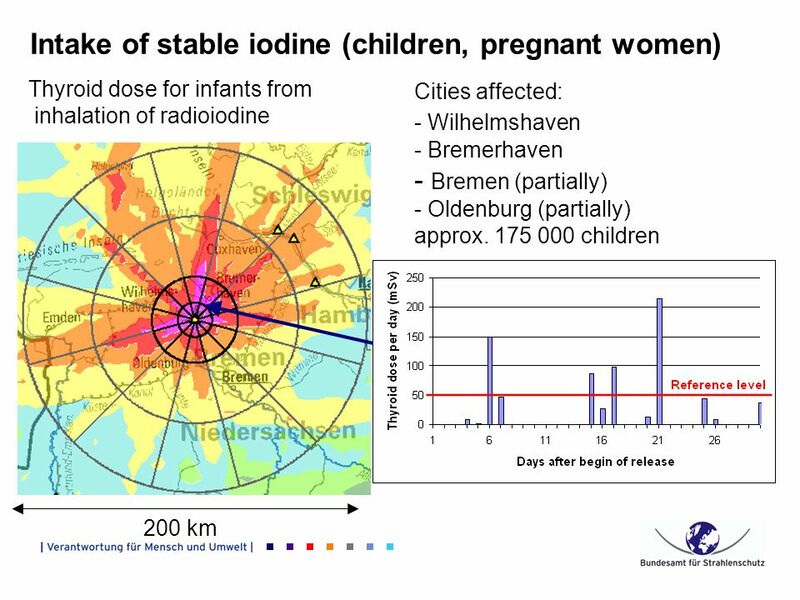 Multiple intake of stable iodine tablets is currently not sufficiently considered in emergency planning. 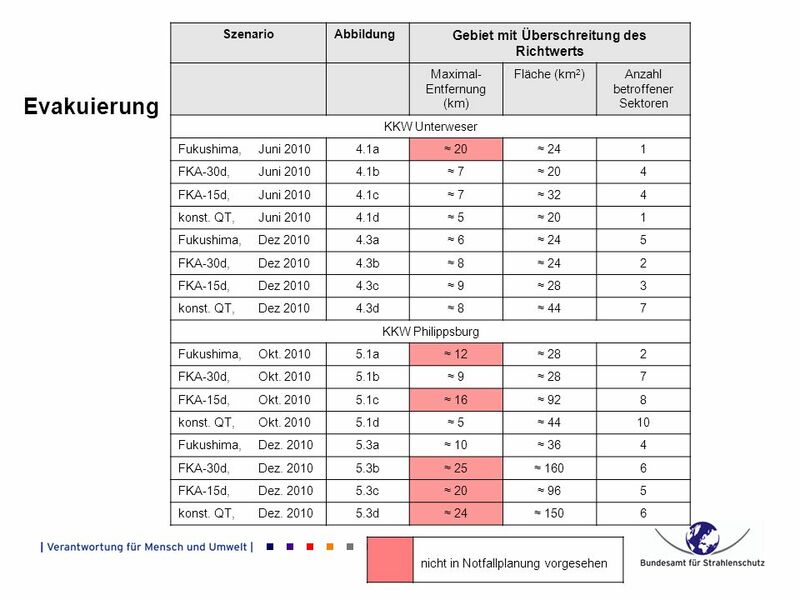 (Intake of stable iodine at different times for different areas?) 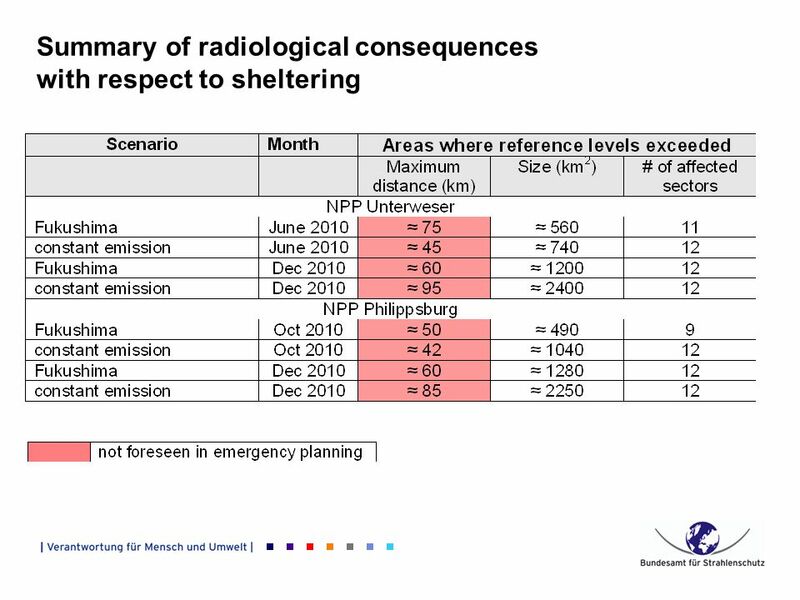 In case of long lasting severe releases the protective action sheltering imposes additional problems (e.g. 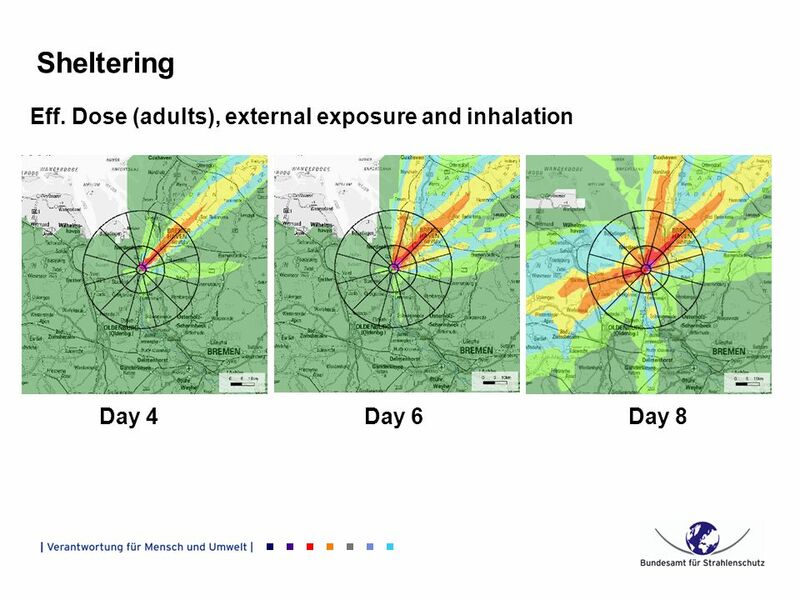 the danger of being forced to order late evacuation even during passage of the plume, lifting of sheltering in one area while ordering in an another area), which may endanger the applicability of the action in general. 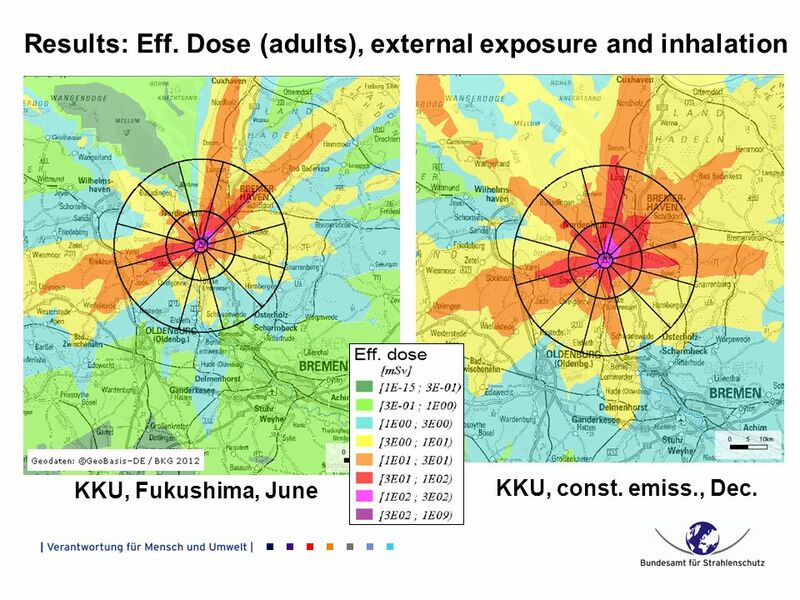 Concepts for lifting of countermeasures have to account for scenarios with long lasting releases. 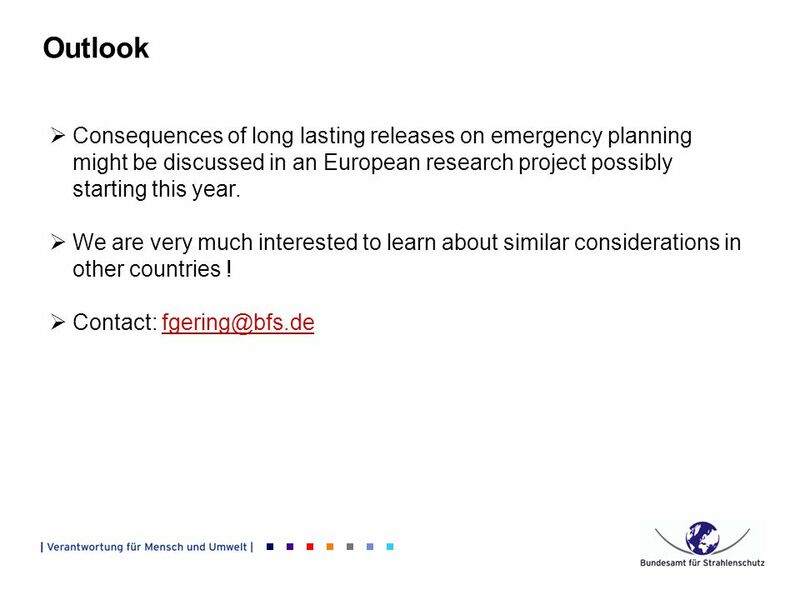 18 Eff. 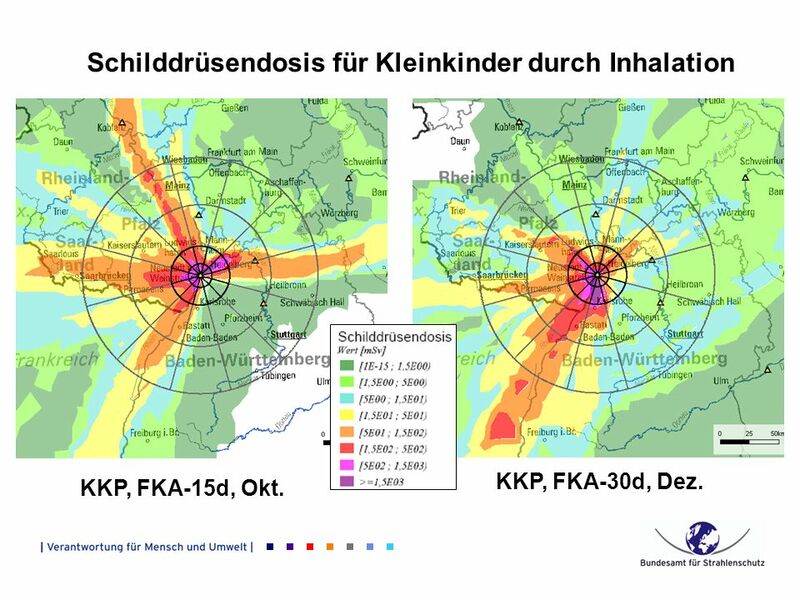 Dosis durch externe Strahlung und Inhalation KKP, FKA-15d, Okt. 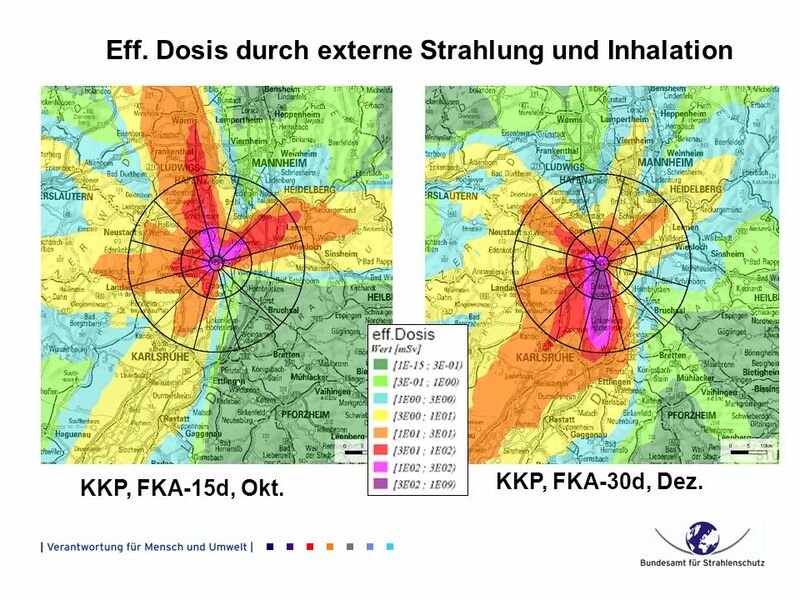 KKP, FKA-30d, Dez. 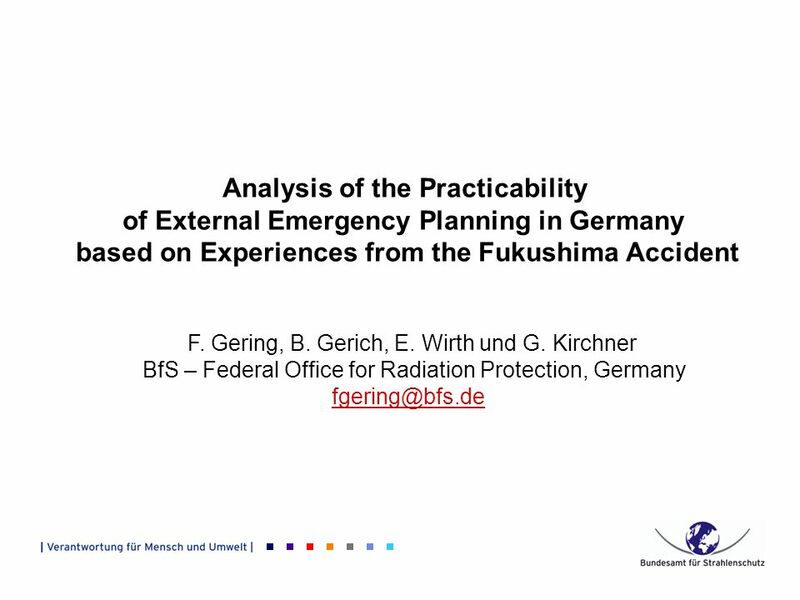 Herunterladen ppt "Analysis of the Practicability of External Emergency Planning in Germany based on Experiences from the Fukushima Accident F. Gering, B. Gerich, E. 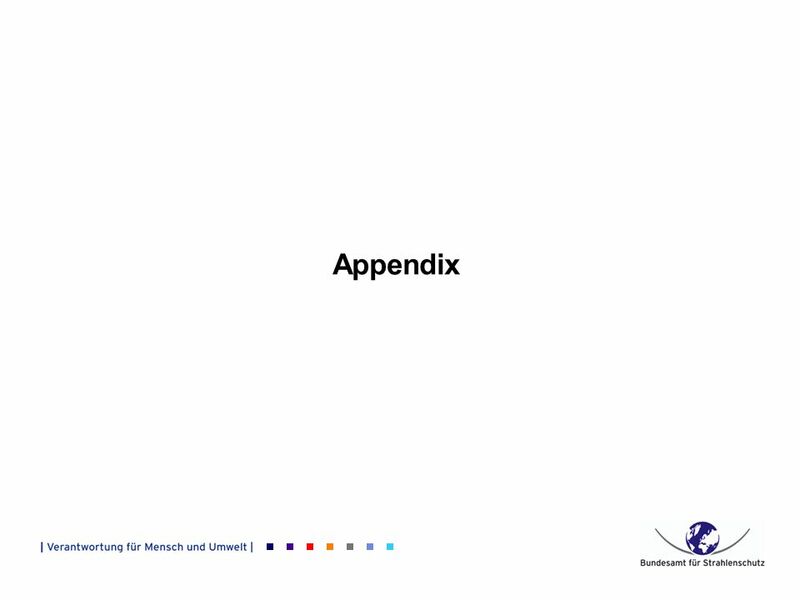 Wirth." 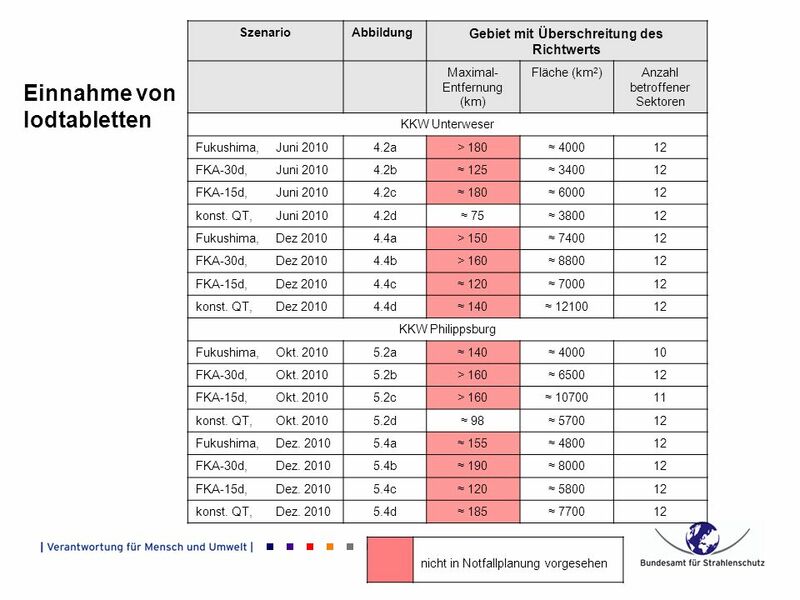 KAE praxis verstehen chancen erkennen zukunft gestalten understanding reality facing challenges creating future Laboratory of Integrated Energy Systems.